​These ain't your slightly older brother's New York Mets. The Brodie Van Wagenen era rolled on Saturday with news that another new face is headed to Flushing. 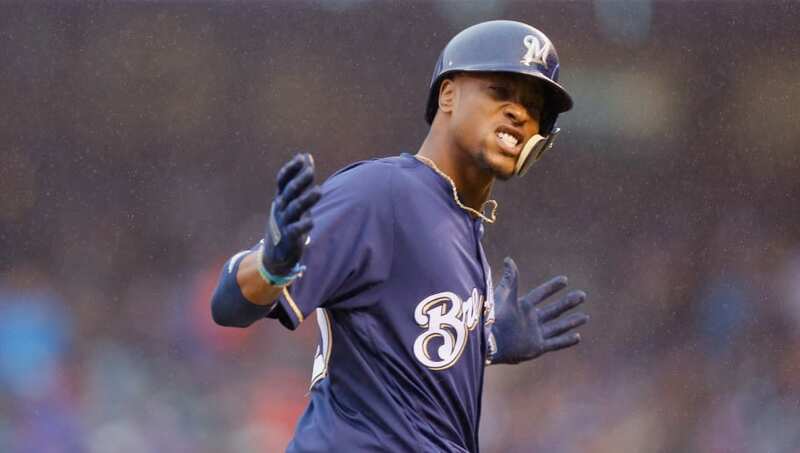 Right the heels of ​acquiring outfielder Rymer Liriano, the Mets have now announced that they've dealt three players to the Brewers in exchange for another outfield, Keon Broxton. ​​Broxton, age 28, struggled significantly last season in Milwaukee. He slashed .179/.281/.410, each mark being the lowest of his professional career. He won't be entrusted to do a whole lot of heavy lifting in Queens, however as Juan Lagares was always expected to take on the full-time center field duties. In any event, he brings a quality glove to the proceedings. On the other end, Milwaukee gets a three-player package including one man with ​MLB experience, right-hander Bobby Wahl. He arrived with the Mets from the Oakland A's in July's Jeurys Familia trade. These weekend swaps won't do much to move the needle in Flushing on their own, but credit Van Wagenen for leaving no stone unturned in his effort to improve the foundation of the Mets organization.